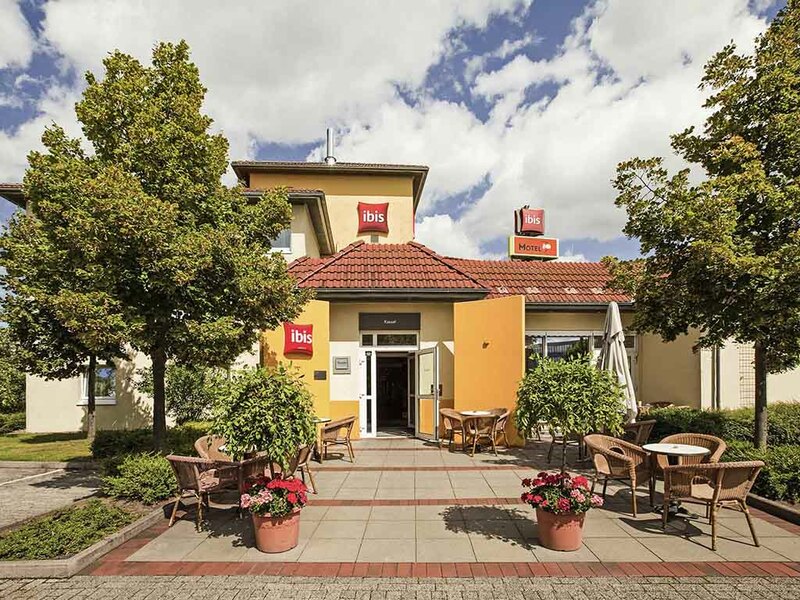 Hotel ibis Kassel. Book your hotel in Kassel now! Restaurant! Really enjoyed staying at the Ibis Hotel Kassel. A fantastic value. The staff were extremely courteous and helpful. The room and bed were very comfortable. Slept very well. Quiet neighborhood. And the breakfast was excellent and delicious with many choices including espresso drinks and scrambled eggs! Highly recommended hotel for both business and leisure travelers to Kassel! the hotel has become a bit worm out, among other things, the towels are next transparent af wear.The hotel needs an upgrade - the price is high enough compared to the drug market. the bed is also after many guests and 2hollowed". This hotel is very pleasant for business trip. Rooms are clean. Parking is free of charge. Welcoming staff. It is situaded in a industrial place. Breakfast is OK. The hotel is closes to the city center. Enroute stay easy to find off motorways. Staff very friendly & helpful. Although we did not eat at the hotel it has a restaurant which is good because of it's location and other facilities near by. Room was a good size (it's an Ibis) bed & bedding appeared new but bed too soft for us. Bathroom aircraft style but very practical with a good shower.We appreciated our stay and will use this hotel again when travelling through the area. A very good experience at Ibis Kassel Hotel. We really enjoyed our stay. The rooms were clean and comfortable. The only thing we missed was A/C as our visit correlated with very warm days with temperatures above 30 C.The breakfast experience was more than great. We enjoyed a large selection of food and drink.I can only recommend the Ibis Kassel Hotel for your stay in Kassel. The Ibis Hotel in Kassel has a very good location, when you travel with your own car. Easy acces from the highway. A very servicefrindly staff welcomes you. The Restaurant has fine choises of food to very reasonable prices. That was my second night in Europe during this trip. Excellent experience as always. However, the room was so silent that I woke up too late to catch my train to the next destination. No complaint, though. There were no bad consequences. I just enjoyed the kind of sleepyou need when you struggle with the jet lag! Our stay was short. The hotel is basic, the room was clean, the bathroom also expect a hair in the shower. The bed was fine though we have slept in more confortable bed. The breakfast was really nice, fresh fruits and a good choice of everything. Very nice, if a bit dated and in a pretty remote location. The value for money was very good and even the restaurant was good, even though the menu was limited. I would definitely stay there again and compliment the staff on their efficiency and helpfulness. Everything was OK except for a rude lady at the reception desk during the night. We had dogs and she refuse us to pass the reception desk when going out with the dogs late after the restaurant was closed. She insist that we used a side door. However, that door was not possible to use when going back to the room. We have been at this hotel many times before but have never experience such behavior. That is why we give service a poor review. I booked on the Accor website receiving a confirmation number, I am an Accor Gold card member. On arrival at the hotel, I was told that there was no room available for me due to an IT problem. I did not stay in the hotel and found alternative accommodation 50kms away. The hotel is not a good advert for the Accor group, the hotel seemed understaffed as well. I will be staying a lot less in Accor hotels from now on. Stayed here for 1 night en route so didn't go to the town. Reception staff friendly and helpful, quiet room with good aircon. Evening meal in the restaurant was very good quality but breakfast was exceptionally poor for the money. By 9am there was hardly anything left, no bacon or sausage balls, dried up scrambled egg, 2 cold boiled eggs left. Asked for croissants to be told none available. About 5 breadrolls and a bit of ham, plus coffees (juice had run out). Probably the worst breakfast in an Ibis we have experienced. Everything is very much up to high standard except the free internet. In our opinion it should be fast and free instead of very very slow. The paying internet is too expensive for 1 day, we pay 50 euros monthly for phone and 30/30 fiberoptics. We will of course use your hotel again as we have done in the past. Compliments to a friendly staff. Simple but adequate hotel, well located close to the motorway and with easy access to the town centre. The computer broke down so it took 20 minutes to programme the keys for our room ... We declined the offer for breakfast as too expensive for what was on offer. Only problem they charged the higher price as my booking, but after check out went back and get the difference credit. Today second stay 20/21 Oct was all fine and the desk lady appoligized for Thursday,s error of pricing. I have used Ibis Kassel for many years for one night on my way back to Denmark from South of France. This time I was extremely embarrassed that I had to have a heated argument in the reception, because I had prepaid breakfast for two persons, I could show her my receipt for the amount prepaid and she said that in a way I was right - the problem was only, that the manager at Ibis Kassel did not accept this, so even though I has paid for it, I could not get any breakfast - and if I was not satisfied, I could just complain to IBIS (booking system a gather??)!!!!! I was furious - this should NOT be my problem at all - if there is a difference in how the manager wants to have things and how the Ibis general hotel booking works, this cannot possibly be MY problem as I could show in writing that I had paid for it - it all ended up in her giving in and just giving us the breakfast - more or less, I think, to have a highly unsatisfied client away from the reception. There was an underlying tone that I should really be gratefull which I was NOT at all - in fact I consider to find another Ibis on our way back to Denmark next year. Also it was very disturbing when we had dinner, that there was a whole school class - or someting like that - checking in at the reception in the same area - with reading out names loudly - and apparently there was also some problems with their bookings! Comfortable hotel typical of the Ibis chain. Location very convenient for the autobahns, on a light industrial estate, but quite far from the city centre. The restaurant serves good dinners, with generous portions at affordable prices.